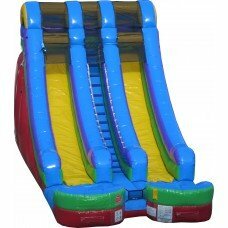 Our RETRO Double Lane DRY Slide is known for thrills with its height and fast paced slip. Its bright colors are sure to get attention! Riders can race each other side-by-side for double the fun!